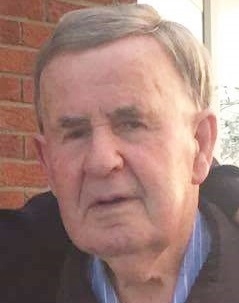 It is with regret that we inform you of the passing of Billy Molumby, Vice President of Moycarkey Borris GAA Club. Billy hurled with the club in the 1940s and 1950s, lining out at Senior level for a number of years and winning a County Number 1 Junior Hurling title in 1954 playing in the full-back line. When his playing career ended, Billy was a long time and tireless committee member in the club and was a Club Honourary Vice-President at the time of his death. Billy will repose at Hugh Ryan's Funeral Home, Slievenamon Road, Thurles on Wednesday, 11th January from 6pm to 8pm. Arriving at St Peter's Church, Moycarkey at 8.30pm. Requiem Mass on Thursday, 12th January at 11.30am. Moycarkey Borris GAA Club are organising a guard of honour on Wednesday assembling at the cross in Moycarkey village (on approach from Thurles) at 8pm.